Redbank Renaissance, Inc. is a qualified 501(c)(3) charitable organization with the Internal Revenue Service. Your contribution is tax deductible to the full extent the law allows. Any contribution is greatly appreciated. Material donations are also gratefully accepted. Monetary donations may be sent to Redbank Renaissance, 209 Lafayette St, New Bethlehem, PA 16242 or via PayPal. Redbank Renaissance uses a multifaceted approach for revitalization of New Bethlehem and the Redbank Valley. Our efforts include a matching grant program for facade and signage improvements and addition of bike racks to support our business community, business resources on the website, efforts to improve appearances through community Clean Up events and our Garden Keepers committee, recording and preserving history through our Redbank Valley Historical Society and tourism promotion through our Towns & Trails Regional Initiative. Our efforts are funded by community support. We will be participating for the first time in the Bridge Builders Foundation week of giving on March 19 to March 23rd, 2018. Please see the flyer for more information on in what way donations are needed and may be used right in our community. Week of GIving RR Press Release. Your support is appreciated. Please choose if you would like us to share your donation or remain confidential among the RVCC staff. Yes, please share my donation submission. No, please keep my donation confidential. If you need one of our Staff to call you for specific details of your donation, please check below. Yes, I would like a call from one of the Staff. No, I do not need a call, just accept my donation. You will be redirected to Paypal to 'securely' enter payment information upon submission of this form. Please click the submit button (ONE-TIME) to visit Paypal. 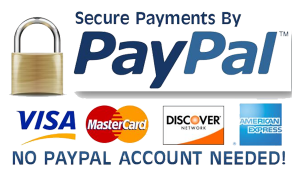 You do NOT have to have a Paypal account to pay with ALL MAJOR CREDIT CARDS.